Look your best for a special occasion or just for everyday wear. Our specialists in makeup will give you the confidence to walk with your head held high. Our makeup kit consists of brands such as MAC, NYX, Urban Decay and Illamasqua. Full face makeover, including lashes, to make you feel at your best. Discounts available on out calls if you are booking for more than one person. 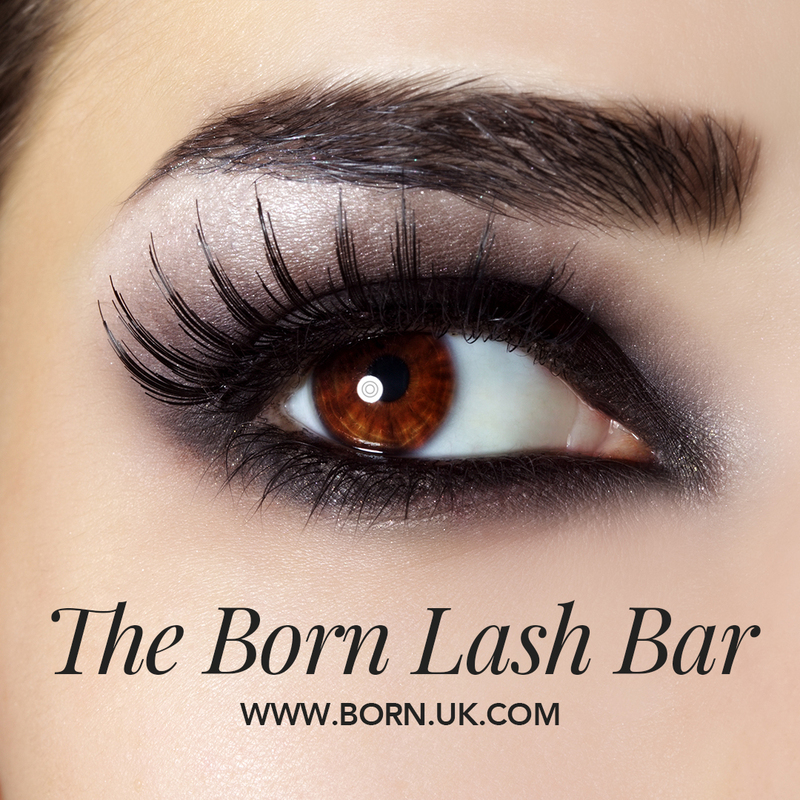 Our standard lashes are free of charge but you can now upgrade your lashes and choose from our range of upper or lower lashes from the Born Lash Bar for £5 per set fitted. When you come for your makeover we will include a mini professional photo session of head and shoulders so you have a keepsake of your look. Two high res images are included. Our standard lashes are free of charge but you can now upgrade your lashes and choose from our range of upper or lower lashes from the Born Lash Bar for £5 per set fitted. Our standard lashes are free of charge with any makeover or makeup lesson but you can now upgrade your lashes and choose from our range of upper or lower lashes from the Born Lash Bar for £5 per set fitted. A three hour lesson covering the whole of the face. Lead Artist makes up one side and you follow, under instruction, on the other side. • How to create the perfect feminine brow shape. After the lesson you will receive a step by step written guide of the look you have learned, colour charts, brush guide and a complete product list. A 90 minute lesson covering all about eyes and lips, discovering which looks work for you. Lead Artist makes up one side and you follow, under instruction, on the other side. A 90 minute lesson covering colour correction, beard area neutralisation, contouring, priming and foundation application. Lead Artist makes up one side and you follow, under instruction, on the other side. Sometimes, makeup lessons can run over the time allocated depending on the pupil’s previous experience. There are no extra fees for this. Cancellation Policy: If you cancel your appointment within 12 hours of your allotted time Born will expect you to pay 50% of the value of your appointment. Paul Heaton is our professional makeup artist and photographer so you can be assured of beautiful quality images. You will be supplied with high res jpeg files. The photo shoot includes four high quality jpeg files. Extra images will cost £22 each to cover the editing and processing time. Here we will enable you to filter out any fashion faux pas and better select complimentary and practical pieces going forward. A half day session is normally suitable for most wardrobes of a small to medium size. For larger collections, a full day would be recommended. Pairing pieces together can be where most have their style struggles. Leighanne will alleviate that pressure by developing completed looks and capturing them on your smartphone or tablet device for you to refer back to, making the most of your collection in it’s entirety. Finding your fashion fix in the comfort of your own home or office. Sourcing that must have style in high street shops and independent boutiques. Due to travel requirements, half day bookings for in store shopping sessions will be within the Greater Manchester area only. Whatever stage you have reached in your transition a common source of frustration, which impacts on how successfully you pass, is the voice. Find out more by clicking here or meet Sue, our coach in this field, by clicking here. All our people are trans or an ally who have an excellent track record in this field so you will feel completely at home and comfortable. The team have years of experience and have been carefully vetted so you can be assured of the very best service and techniques.